For years this 55 year old woman had been unhappy with her crooked and worn lower front teeth. As a professional who spoke in front of people all day, she desired straight, white teeth that matched the dental work that she had on top. 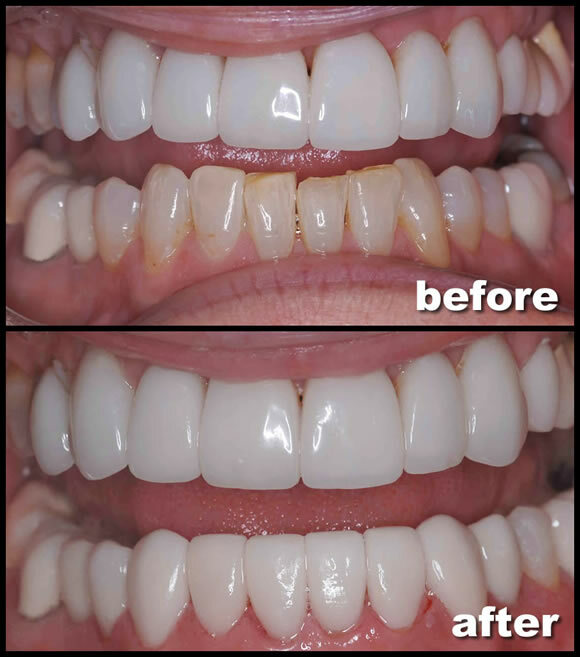 Thin, strong porcelain veneers were placed on her lower eight teeth. The length and contour of her teeth are now even and match her upper teeth. The job was completed in only two visits. Her teeth are now not only stronger but also very beautiful. Her great new smile allows her to be confident about her teeth when speaking to people.